This little buddy was having a ball running around after the pigeons. I arrived in the early morning. The light coming through the station windows was just perfect. The old part of town is this little labyrinth of narrow streets and typical houses. Bikes are everywhere! Actually, driving a car in those alleys is pretty hard, even though many vehicles are narrower than we are used to seeing in other places. After wandering a bit through the narrow streets in the old part of town, looking for something to shoot I walked into the cutest group of Japanese kids in recorded history. 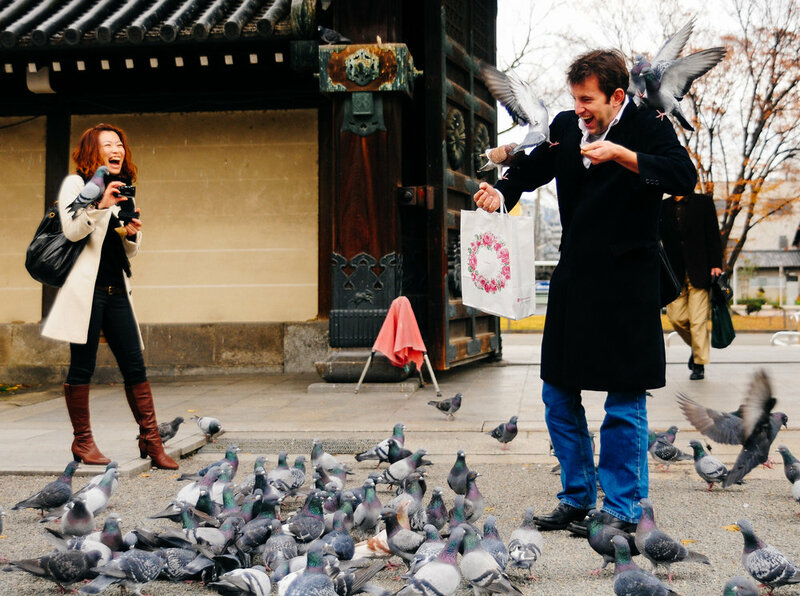 They were on a field trip to temple Higashi Honganji to run around and play with the pigeons. The kids would diligently hold onto the rope and walk together. This little girl was intrigued by my camera and waved hello. Dragons in Japanese culture are somewhat of a water god. They are wingless and more like a huge serpent and are said to live in bodies of water close to temples. It very common to see statues of dragons inside temples used as water fountains. For those that like Nintendo, he’s exactly like Gyrados. There are many legends about dragons and they are mostly sea monsters. One of them could turn into human form and had magical jewels. The water in dragon fountains inside temples is said to bring good fortune. Tradition says you should take some water with a ladle and pour it indo your hands and maybe splash some on your face or even have a sip and it will bring you good luck. Each classroom had their own color of hats, just in case the teacher would take the wrong kid back to school. Apparently not everyone was happy feeding the birds. While some cried, others laughed. This couple was attacked by a huge flock. Hitchcock would have used this scene in his movies. 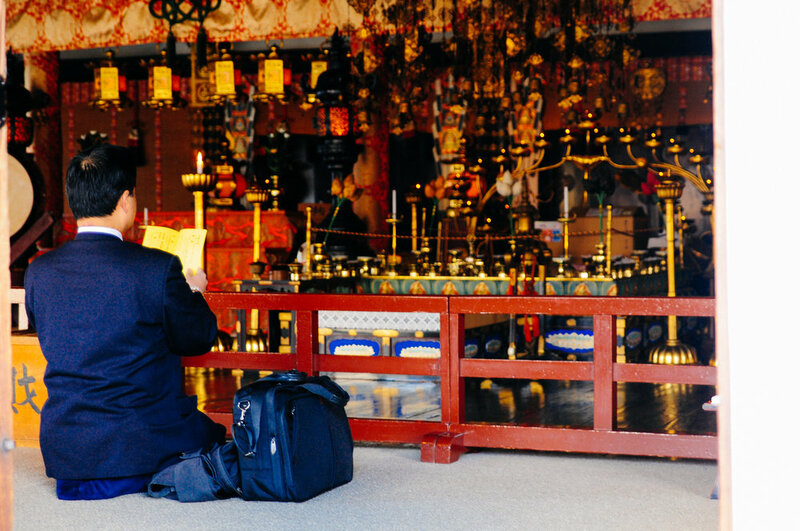 The Higashi Honganji temple is headquarters of the Jodo-Shin Sect of Buddhism, one of the biggest in the country. When I visited, they had just covered up two big pavilions for restoration. I heard they recently reopened them. 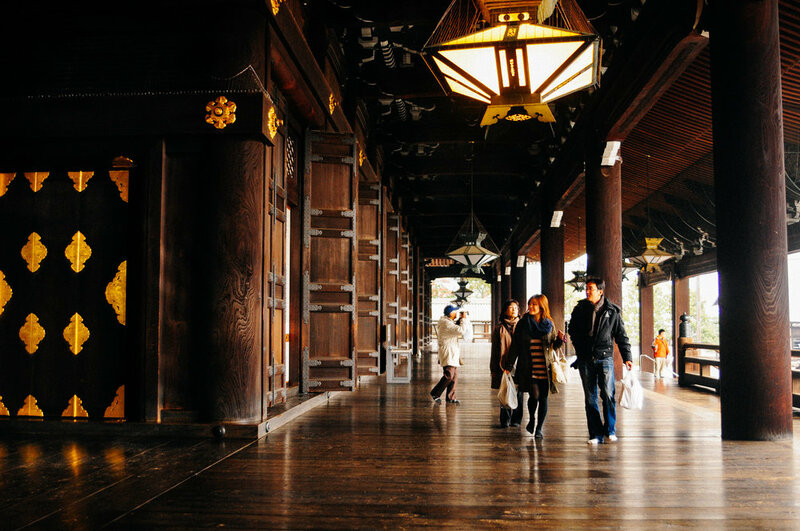 The temples are huge and mostly made of wood, even the floor, as is usual in Japan. I’m more used to Chinese temples, that don’t do this. For lunch I had the famous okonomiyaki お好み焼き. I ordered the one with pork. They cook it right in front of you, so be careful if you're taking your bowl of fish for a walk not to put it on the hot plate on the table (right Commandand Lassard?). The okonomiyaki was very good and tasty, just like most Japanese food I had. They added these fish flakes that were literally the thinnest slices of meat I have ever seen in my whole life. They were as thin as the skin you peel off your back after a sunburn. I kid you not. They place it on top and it just melts. Just for flavor. 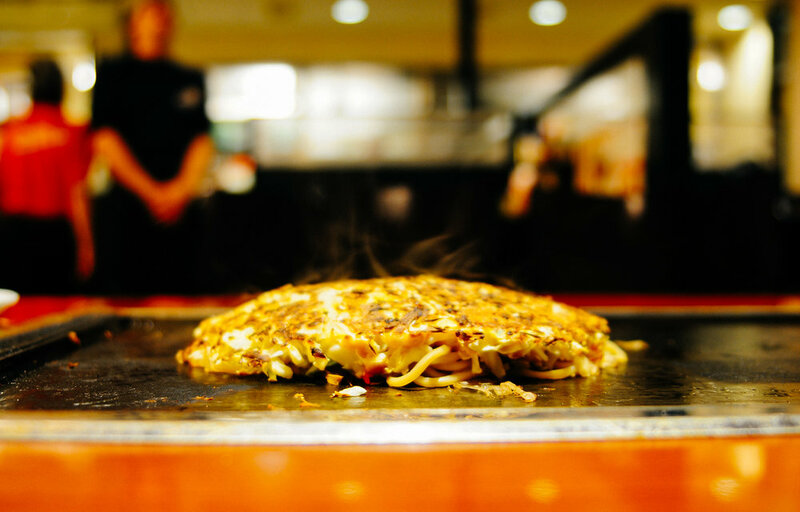 The okonomiyaki is sometimes called the Japanese pizza or crepe. I tell you it tastes nothing like a pizza or crepe. After filling my belly with delicious Japanese cuisine, I headed to this temple that was built in the late 19th century. This beautiful artifact was hanging at the gate at the entrance. If you look closely you can see my reflection in the picture. Once more a water dragon is waiting for you right at the gate. It was really really cold this day and the water tasted like metal. From the Kosho-Ji temple I walked south towards the Toji temple. This is before I had a GPS on my camera and I’ve combed through google street walk to find this place. I went through my pics to search for clubes but all I can say is that it was before the train tracks and I took a picture of a green dome that seems to be from some sort of mosque. In the afternoon I headed to the famous Toji Temple, which literally means East Temple. It was built in the late 700s, making it over 1300 years old. The five storied pagoda was original built in 826 is the tallest in all of Japan at 57 meters. 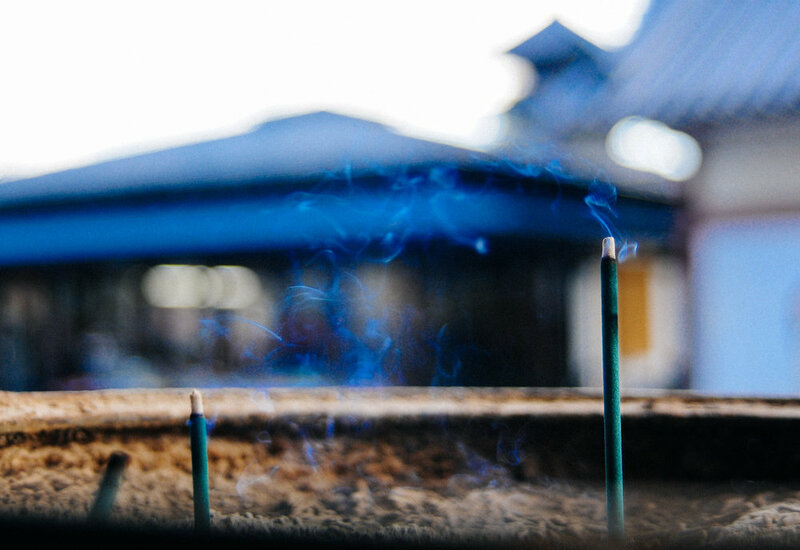 Burning incense is seen as an offering to honor the Triple Gen of Buddha, his Dharma and the Sangha. The fragrance cleanses a person and reveals their true self. Statue is seen through the place where you put the incense. The temple also has a cemetery, where people go to pay their respects and pray. Man on lunch break stops for a quick pray at the Miedo Hall, which means Founder’s Hall in Japanese and Hall of Fear in Spanish. 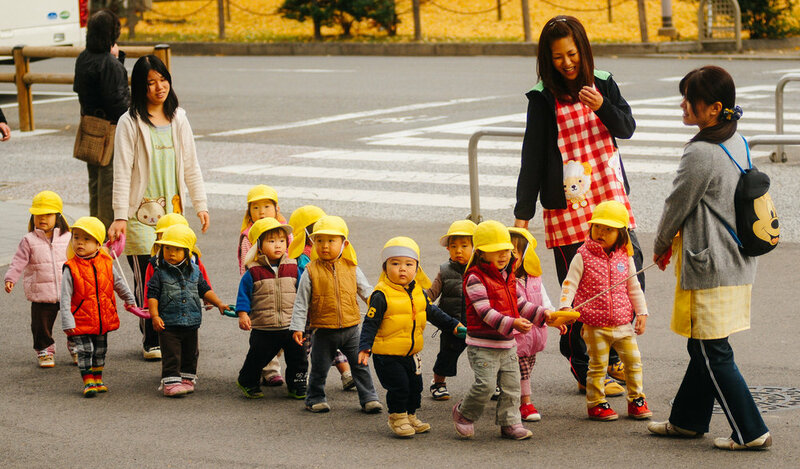 Thankfully this is Japan. When I took this picture I didn’t know what these were, but apparently they are the names of people who donated to the construction of the building. This is on the wall of the Kodo hall. 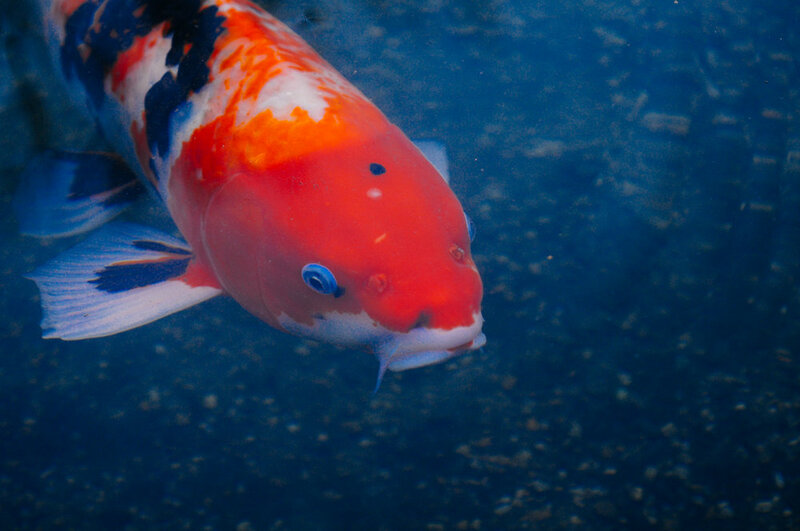 Koi fish are a tradition in japan. They have been bread for centuries. These are actually albino fish and the race is naturally gray. 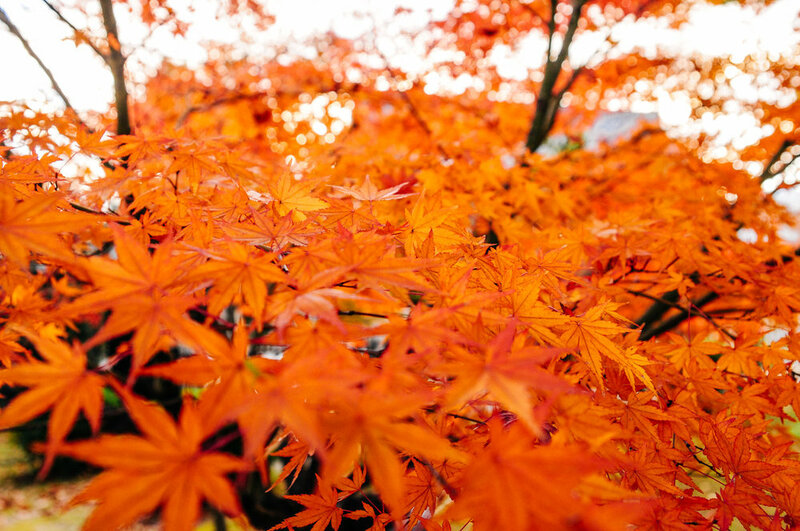 Autumn is just beautiful in Japan. Everything was orange. Inside the Kondo hall there is a Yakushi statue made in 1603. By now the sun was already setting and I had to head back to station because I had a football match to shoot. 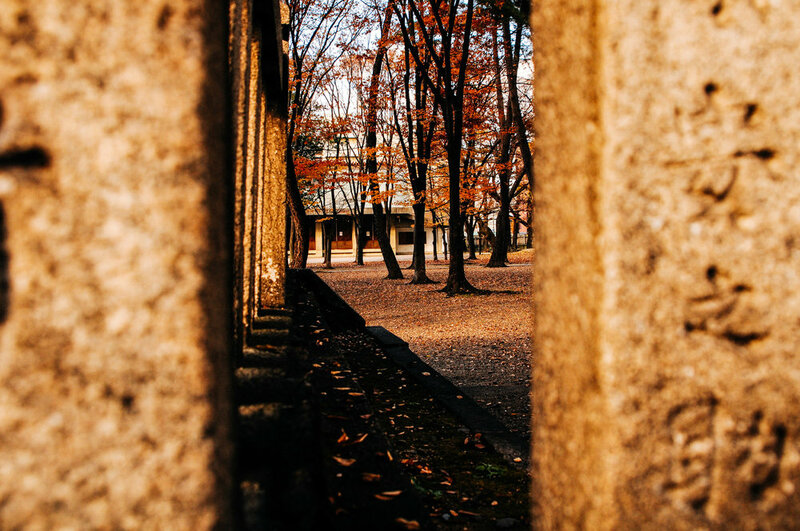 There is still so much more in Kyoto to see. I didn’t have a chance to visit the royal palace or anything. I need to go back. Soon. On my way back to the station I peeked in through a stone gate into this peaceful spot. 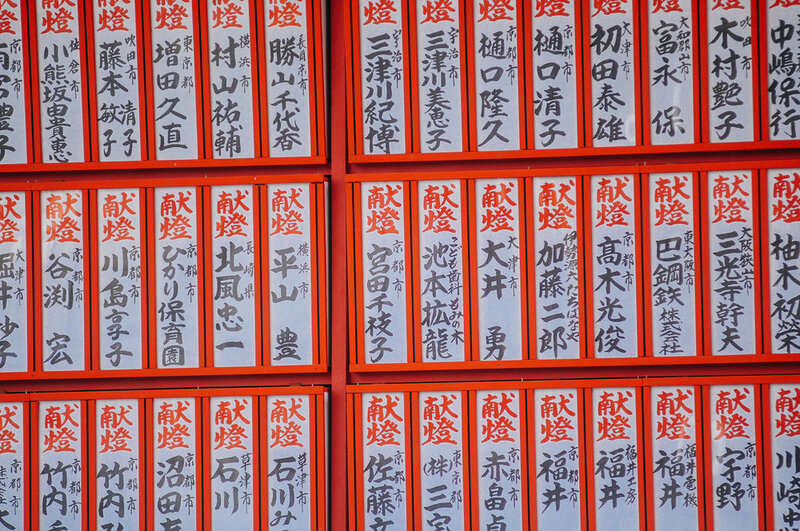 Coincidentally, the character for peace 安 can be seen engraved in the stone block to the right of the frame.